*Excluding New Year's Eve – December 31. 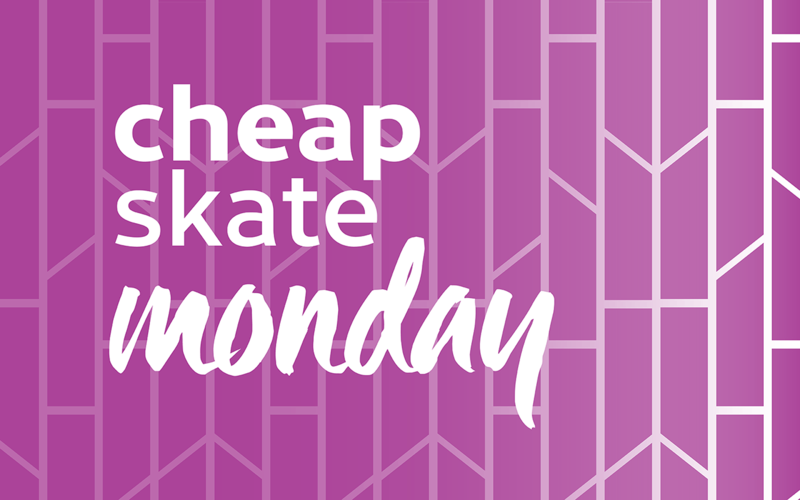 Enjoy “Cheap Skate” discount night. Pay full price skate admission and receive one free skate rental, a $4.95 savings! Not valid with other discounts.